Hello and welcome to the website of Lyme Regis Town Band. I am Paul Snowball and I am the Chairman of the Band. I joined the band in 2009, after a hiatus from playing of some fifteen years. 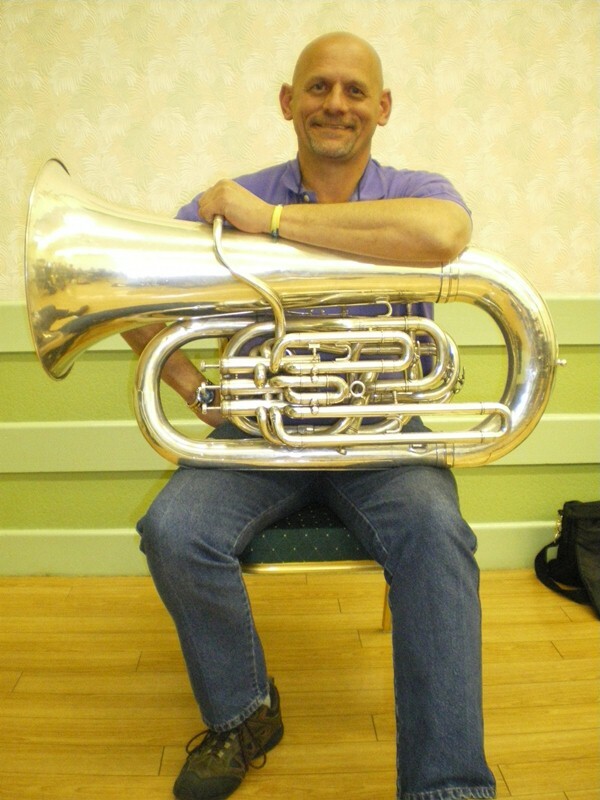 I have always played E flat bass since my school years in the early 70’s and after that played with various Royal Navy bands during my 22 year career in Submarines in the Navy. When I decided to start playing again I looked around on the internet and my attention was drawn to the Lyme Regis Band. The band had everything I was looking for, in that it appeared to be a small friendly band which, because it did not partake in competitions, meant it would play for the pleasure its music would give to people and for the pleasure of the band’s own accomplishments in performing that music. 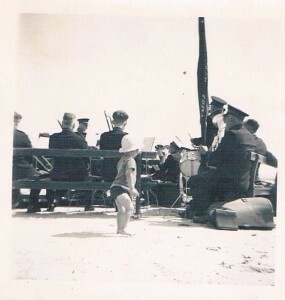 I was also quite relieved that the band did no marching as, having marched around in the Navy with 30lbs of silver plated brass strapped to my chest for 22 years, I was keen to put that aspect of playing behind me and spare my poor knees the strain. Having played for two years I decided that I would like to give back to the band something of what the band has given to me, so decided to put myself forward for election as Chairman in which I was fortunate to succeed. Through the course of my time in the band, there have been many highlights. As a bass (or Tuba) player there are not many solos written for my instrument but when the opportunity arises to play a solo with the band, I do like to try and bring aspects of the unusual and unpredictable to the performance and increase the enjoyment for everyone; even if this does result in a look of total bewilderment on the face of our Musical Director as he tries to work out, as I stray from the music written, just what I’m going to do next! When not playing, I work for a small company called SwimSouthWest, teaching many of the children in the area how to swim. Other than that I can usually be found under my car, maintenance, not accident I hasten to add. We are a very friendly band and are always pleased to hear from anyone interested in joining us, whatever their talent or age. Full details of concerts, practice and contacts are on this website. Thank you for showing an interest in our band. Please take time to look around our website.